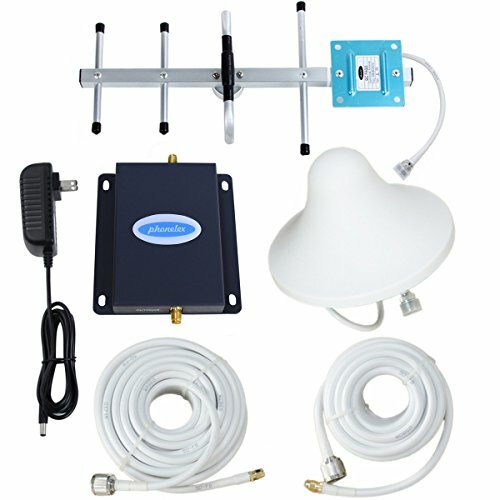 This cell phone signal booster is designed for 4G LTE Band13 Veriozn 700mhz cellular band , Much faster high-speed 4G LTE internet. Perfect for people needing fast uploads and downloads for streaming apps such as Google Chrome, Safari, YouTube, Netflix, Pandora, Spotify, and other data-heavy apps. Support any phones for any Wireless Carriers in the frequency range : Downlink : 746--757 MHz Uplink : 776--787 MHz. it can receive the signal from the signal tower ,and then amplifier your mobile signal, The cell phone signal booster repeater is used for Village,Garage,Basement,Home,Office , hotel, apartment and so on. FCC authentication certificate,One Year Manufacturer Warranty , 30-day money-back guarantee, high Gain booster repeater , All parts included in the kit , very easy to install. If you have any questions about this product by phonelex, contact us by completing and submitting the form below. If you are looking for a specif part number, please include it with your message. Proxicast 10 dBi 3G / 4G / LTE High Gain Omni-Directional Fixed Mount Outdoor Fiberglass Antenna for Verizon, AT&T, Sprint . . .